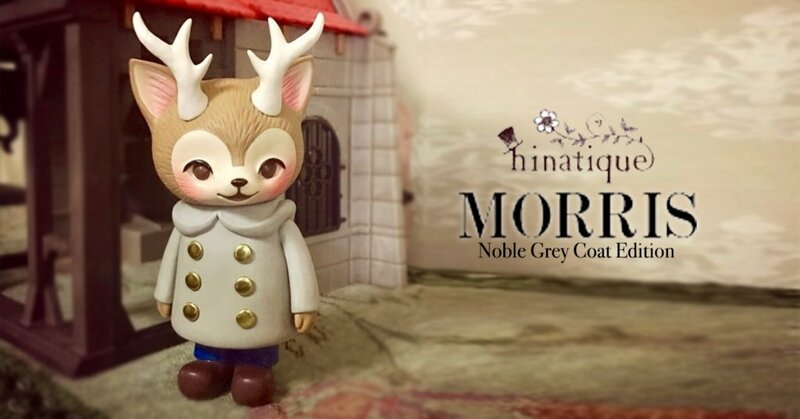 The wonderful Kaori Hinata of Hinatique has announced the pre-sale of the all-new colourway of her adorable Morris! This weekend’s Wonder Festival 2018 winter attendees will be the first to get the chance to own the new MORRIS -Noble Grey Coat edition. After seeing the MORRIS -Noble Grey Coat edition in the VAG mini Gatcha series which you can check out HERE. Morris will now come in the original bigger soft vinyl size! Don’t be too sad just yet if you can’t make it to Wonder Festival [Winter] as Kaori will have some on sale after Wonder Fest. Stay tuned for online sales and retail outlets.